Don't blow your travel budget on unnecessary accommodation costs. Stay in one of these budget hotels in Oslo and you'll have plenty left over. A welcome trend has hit Oslo over the last few years: good quality budget hotels. Although the prices sit somewhere between a bed in a hostel dorm and a room in a full-service chain hotel, the quality is most definitely towards the latter. On a recent research trip for Moon Norway, I took the opportunity to test out three of Oslo's best budget hotels. Here's my verdict! After a disastrous experience at Citybox Bergen a few years ago, it was with some hesitation that I clicked the buy button on Citybox Oslo. But it turned out to be a very comfortable start to my trip. 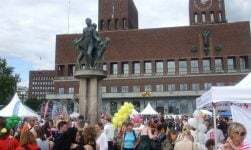 I picked it for the first night of my trip specifically because it's on Prinsens gate, just a few minutes stroll from Oslo Central Station. That turned out to be a wise move, as my flight was delayed and the city streets were covered in fresh snowfall. Arrival – Initially I missed the large corner entrance until I noticed the sign way above my line of sight. The entrance foyer contains three automatic check-in machines with Norwegian, English and Spanish options. The check-in process was easy and soon the machine spat out my room key and a sheet of paper with relevant information, such as the wifi code. The room key opened the door to the rest of the ground floor and I was soon in my room. 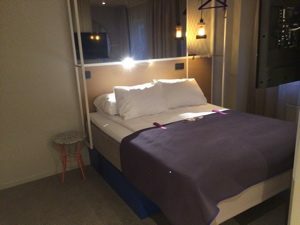 The room – I chose a “small double” at a nightly rate of 695. It was small but not as small as I had feared. There was room to hang my coat and scarf, stow my bags and even a desk to sit and work at. The bathroom was very small but fine for one person, with a powerful and hot shower. The room was clean and tidy with five working power outlets. My only complaint was the “durable” carpet that felt a bit strange to walk on. Also there was no TV but I knew that when booking. 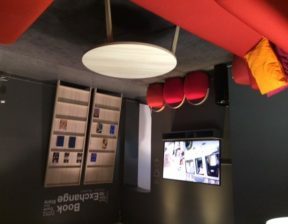 Other facilities – The ground floor offered a spacious lounge area with both tables and chairs and more comfortable seating. A couple of TVs, a small library and a couple of PCs meant this was a pleasant place to relax. 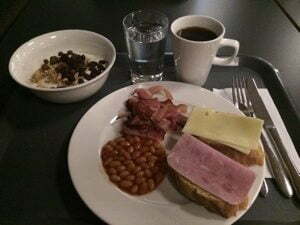 The breakfast – Breakfast was not included although there is a connected cafe that offers a buffet at 139kr or a sandwich and coffee deal at 99kr. Instead I chose to grab a coffee and bun for less than 60kr from a branch of Stockfleths, Oslo's best coffee chain, just around the corner. 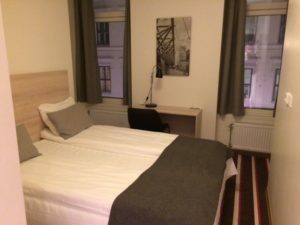 The price – The nightly rate for my small double room was 695kr. A single and a single lite are also available at a cheaper rate, 585kr and 619kr respectively, but these really are tiny. Overall – I would have happily used Citybox Oslo as my base for the week. 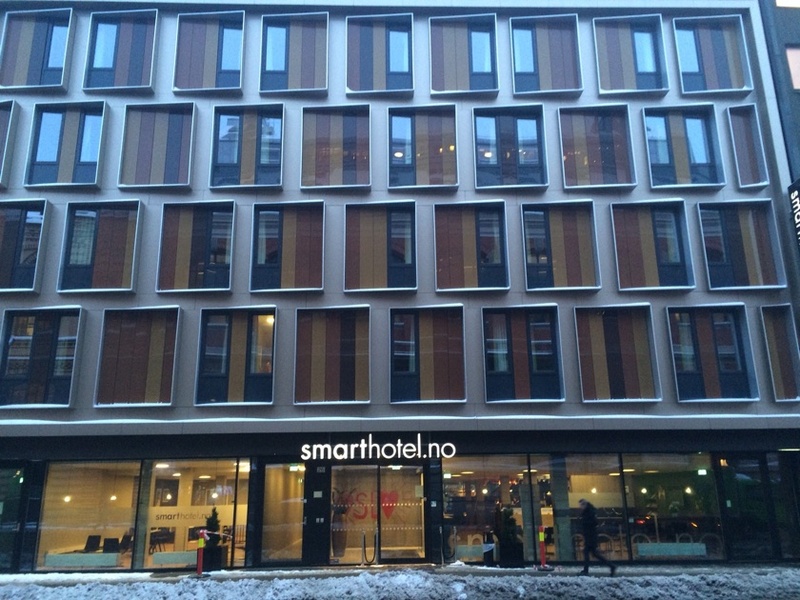 One of a growing chain that also includes hotels in Tromsø, Stavanger and Hammerfest, Smarthotel Oslo was my next choice. 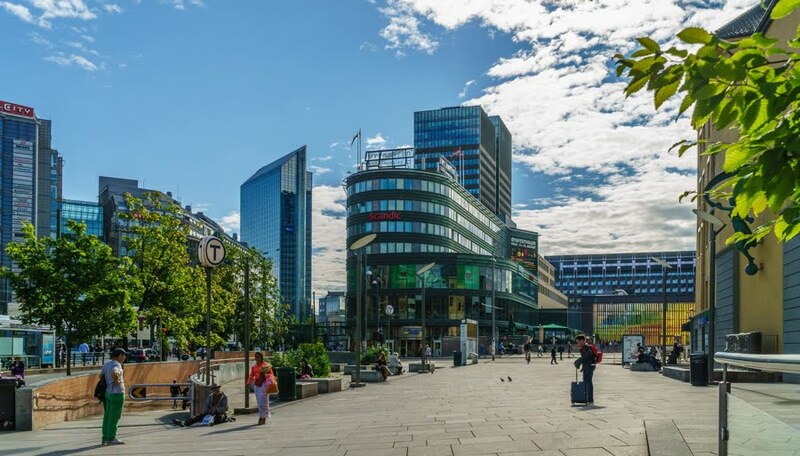 Located a few steps north of the city centre in a business-like district a few streets from Karl Johans gate, Smarthotel Oslo was easy to find. 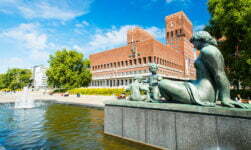 It's located close to a couple of more expensive competitors such as Scandic and Radisson Blu. 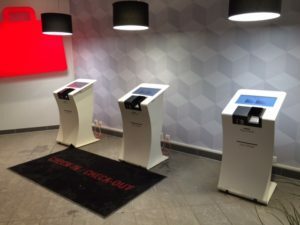 Arrival – I used the automated machines as I had received a text message with a code earlier that day, but my code didn't work so I had to see the receptionist. Annoying. The room – Wow, smaller than I had expected and about as small as it's possible for a hotel room to get. It was basically just a corridor with a double bed wedged into an alcove. There were some space-saving devices such as a fold-down desk which was surprisingly comfortable to work at. 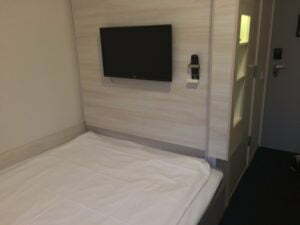 There was also a TV and a hairdryer, and a clean, yet very small, bathroom. There is no way two people would be comfortable sharing a room like this, but for one person it was just about okay. 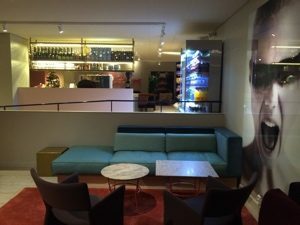 Other facilities – On the ground floor there was a large breakfast room, a conference room and a “Smart bar” area which was essentially a shop with some seating. The breakfast – I paid an extra 110kr for a breakfast buffet, as I had already seen online that the size and selection was decent. It was the typical Scandinavian hotel buffet with a couple of hot options (most that weren't very hot at all) and a better selection of cereals and cold cuts. The coffee was decent. 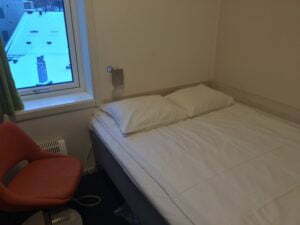 The price – I paid 750kr for a double room which as I said above was only really suitable for one person. 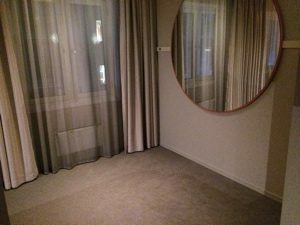 To demonstrate this, a single room is available for 650kr, which turns out to be exactly the same sized room with a slightly narrower bed in the same space. Adding on the 110kr for breakfast too takes Smarthotel Oslo into the realms of more standard hotels. Overall – A better standard of room yet far too small to be comfortable. Not great for the price. 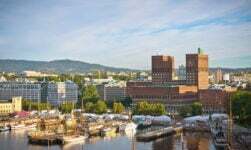 A new hotel chain barely three years old, HTL has two central locations in Oslo very close to one another. As the name suggests, I picked the one just off Karl Johans gate. The modern lobby doesn't scream budget hotel so my first impression was positive. Arrival – The hotel was easy to find and check-in was automatic and speedy. 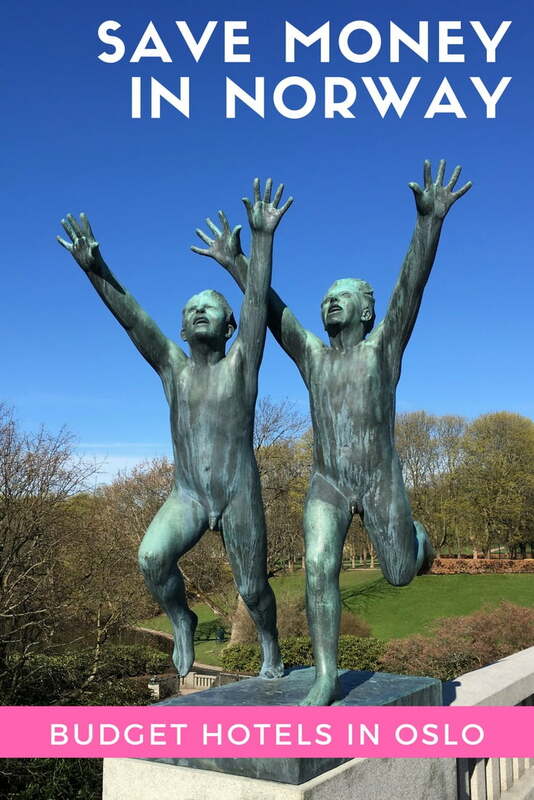 The receptionist was exceptionally friendly, not usual for Oslo! It turned out she was new to the job, new to the chain, and new to Oslo. The room – Easily the biggest of the three. At its centre was a spacious bed with plenty of room on both sides and a TV. The other side of the room was basically just space. It was crying out for a desk and I am very confused as to why there wasn't one there. A waste of space really, so I came down to the lobby to work. Also, the lighting was strange – lots of LEDs and no primary lights – so the room felt dark most of the time. 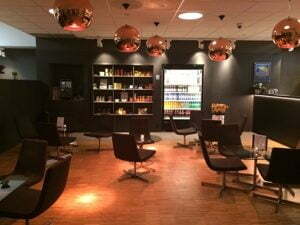 Other facilities – A comfortable lobby with a range of seating and as usual for budget hotels, a kiosk selling snacks and soft drinks. Also a fully-licensed bar, which I took advantage of after a particularly cold day of note-taking and photographing! The breakfast – Offered in the downstairs bar, the breakfast was minimal but good quality. Decent yogurt, ham and cheese, rather than the basic stuff often offered in hotels. There was a note on the trays saying you could take five items, but that didn't seem to a rule that was in any way enforced. Some extra options would have been nice, but this breakfast did the job. The price – I paid 784kr including breakfast. Overall – A decent hotel with a great location and a good-sized room. A great value choice. 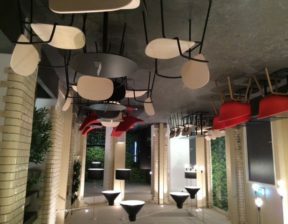 Of the three budget hotels in Oslo I tried out, I would go for HTL Karl Johan or Citybox Oslo on a future next visit. Both hotels were great value, clean and comfortable. The room at Smarthotel Oslo was just too small and it was the most expensive of the three. 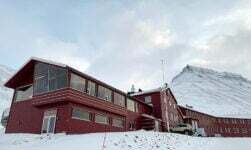 Cochs Pensjonat – Ignore the strange name, this budget hotel is a great choice if you don't mind its location a little further of out the centre than the options above. My friend Chris stayed here on his recent trip, and you can read his verdict here. Anker Hotel – Shares a building with a hostel of the same name in a busy part of town. Located between the city centre and Grünerløkka, the hotel is easy to reach on foot or on one of the countless buses and trams trundling along Storgata. Probably the most expensive on the list but still definitely in the budget category. Free breakfast. 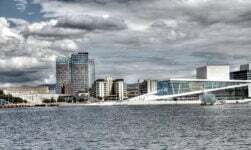 P-Hotels Oslo – A new collection of budget hotels in Oslo, Bergen and Trondheim. The Oslo hotel is located on Grensen just a few steps from the HTL Karl Johan. All rooms have a TV.